Home DIY Diy boys tshirt! My nap time project today was to make Aiden a tshirt from one that Chris was going to donate. I decided to give it a try and am so glad I did! It was seriously easy and took me all of 30 minutes. Given it was my first try I was still surprised at how easy it all was. 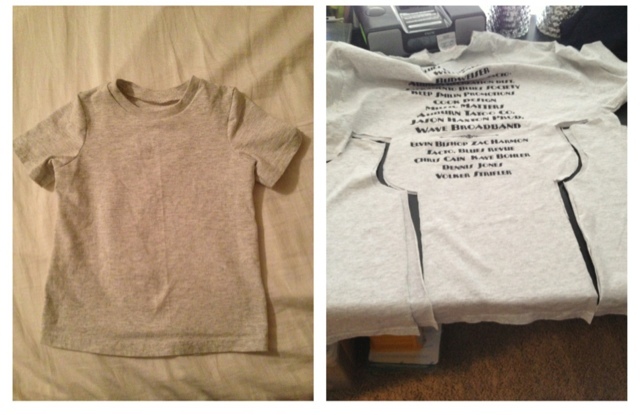 This was a great way to recycle some old unwanted tshirts and the best part is it fit Aiden perfect, with a little room for growth so I'll make the next one a smudge bigger.